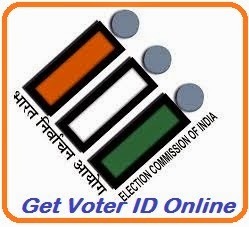 Apply voter id card online in Andhra Pradesh - How to apply? Andhra Pradesh State Election Commission of India launched a web-portal where all Andhra Pradesh citizens can apply for voter ID card online. We all know all Indian citizen who is 18 years old as on 1st January qualifying date of the concern year is eligible to enroll for the new voter ID card.The one who is applying for Voter ID card first time are supposed to filled up Form-6 to the Electoral Registration officer (ERO) of your Assembly Constituency and are three ways to submit Form-6. Can send application by post. The other way delivery by hand. Here you get process how to apply for voter ID card or Andhra Pradesh voter card apply online process with snapshots.As a proof of residence one can submit any of the government document to facilitate work of registration, driving license, bank passbook or passport. Follow the below steps you can easily understand how to apply new voter id card in online in AP. Step1: how to apply new voter id card online in AP? Step2: how to apply new voter id card online in AP ? Step4: how to apply new voter id card in online? Step5: how to apply new voter id card in online? Step6: how to apply new voter id card in online? Note down the your application number or Print your application and save.. it is used for checking status of your voter id card. can i apply my own on my pc ? Can we select meeseva center to get my voterID delivered? how many days required to get it. Identity archive fabrication is the procedure by which identity reports which are issued by an administering body, Fake id for example, a state or nation are duplicated and additionally adjusted by an unapproved individual. Regularly fashioned things incorporate driver's licenses, birth testaments, government managed savings cards, and identifications.